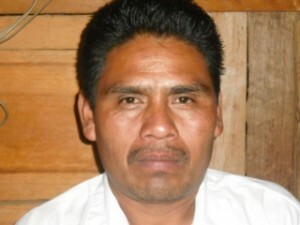 Lazarus came out of the mountains to attend Oaxaca’s District Council and ask for help. The five-foot four-inch Chatino Indian pastor, accompanied by two other church leaders, traveled from high in the southern Sierra Madres carrying a hand written note that held hope for their future – and that of their churches and communities. Taking the paper, it’s ragged edge revealing it had been torn out of a notebook, Mike noticed the small slanted script, the oversized capitals, and the three signatures at the bottom. 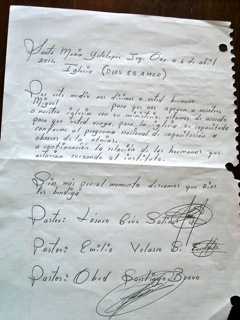 However, it was the paragraph in the middle that grabbed his attention: “By this means we ask that you hermano Miguel encourage us and our churches by coming to train us as indigenous pastors and help us teach the Scripture to our churches.” On the back were seventeen additional names of Chatino church members. He was asking for the gift that keeps on giving. Pastor Lazarus is not alone. In Mexico, more than 350 Assemblies of God nationals are ministering among the indigenous groups, many of them among their own people – and most with little to no Bible education. Training them is a missionary’s high calling, for not only is it partnering to take the Gospel to Mexico’s unreached and least evangelized people, but it is also planting the seed of multi-faceted reform for families and communities, implications of the power of the Gospel. Missionaries like Efrain and Catherine Figueroa, whose pilot program training indigenous leaders is writing a new chapter in church history, and Dave and Kelly Godzwa, who find today to be a critical hour in Mexico’s history as they focus in partnering with Mayan leaders to evangelize their own villages. People groups have not been reached until there is at least one church that is self-governing, self-supporting and self-propagating among them. A fallacy often repeated today is to discount areas that are assumed “to have the Gospel,” like Latin America. The greatest missionary ever, the apostle Paul, writes to the Romans of his longing to see them, a people whose “faith was being reported around the world.” Why? So he could reap a harvest, impart spiritual gifts, strengthen the saints, and be mutually edified. Sixteen chapters later, he closes that letter with the reminder of God’s purpose for his ministry: so that all people groups might believe and obey Him. British journalist Matthew Parris, an atheist, confesses that following a trip to Africa he came to see Christianity as necessary to effect changes in mindset and culture, because it “changes people’s hearts…and brings spiritual transformation.” Some have argued, and still do, that Christian missions destroy indigenous cultures. But according to Lamin Saneh, a Muslim convert to Christianity and Yale scholar, the history of Christian missions has in fact helped preserve indigenous cultures and languages. When Pastor Lazarus first approached us, little did any of us realize how this gift of teaching Scripture will effect change. Yet a notable one has been a beginning transformation of the Chatino women in his church. On our first visit we received little more than downward glances in response to our greeting, even mine as a woman. They sat in the back row looking subdued and afraid to speak. Seven months later, they now greet us with shy smiles and handshakes. They’ve also learned to share their testimony and read Scripture publicly. Value from their Creator is beginning to shine from within them. The women also had their first experience negotiating business that does not involve standing on the mountain roadside with their young children trying to get a hand out or begging approaching vehicles to buy their hand-woven palm bags and containers. They believed begging to be an expression of living by faith. In October I requested an order of their hand-woven items. I expected a few of them to accept the challenge and turn out with one, perhaps two pieces each. To my surprise, on our following trip there, five women eagerly showed me their products–all twenty two of them! I purchased each one. The Bible, in this case Proverbs 31, is transforming the way they think and live. Then there is the young Chatino man, a victim of human trafficking, who was able through circumstance to return to southern Mexico where he gave his life to Christ and enrolled in our Bible Training Center. His evangelistic fervor compels him to share Christ as the answer, not only spiritually, but also physically and economically. That message is an antidote for the deceptive promise of work al otro lado, where others like him might be sold to businessmen, then forced to live and work in slave-like conditions. This gift of teaching God’s Word and training laborers in the harvest is indeed a powerful one that reaches into every dimension of life, bringing change deeper than any government or social program alone can do. God has called you to be a courier of this gift. May you not grow weary in well-doing. For in its giving you also receive. Because it is the gift that keeps on giving. Mike and Ilona Hadinger serve the Mexico Missionary Fellowship as the coordinators of ministry to the Indigenous/Ethnic People. Ilona is a member of the Redbud Writers Guild and is aiding the January launch of a writers network for LAC A/G missionaries. Wow! What a moving piece, and inspiring story of the handwritten note. Thank you for expressing so well, the high honor we have as missionary educators. I am also so glad to learn that Cruz Velazquez is now the Home Missions Director in Mexico. I first met him as one of my students in our ISUM missiology course, and also know that he works closely with my cousin Sheryl Neely and her husband Phil among the Taruamara indians. Keep up the good work, and thank you again for inspiring us all. Blessings and Merry Christmas. That is what keeps our motor going. Bless you! I was inspired! Jim – Cruz is a trail-blazer and an apostle in the truest sense. Do the Neely’s help with the orphanage? Mona – that quote by Bruce brings us back to center, doesn’t it? Thank you both for your kind words. I’m glad you were blessed. 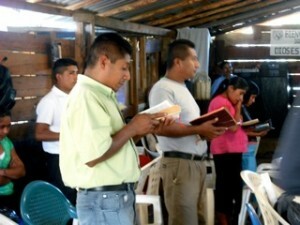 So glad to see how the Lord is opening doors for your family and the Figueroas to minister in Oaxaca. Your investment in training leaders there will ultimately reach thousands for Christ! Ilona, I love it! Very special. Hallelujah! What an awesome article about a Christmas gift. It is such a joy to be on the team with you and Mike, Efrain and Catherine, Dave and Kelly, and a long list of others, who believe that teaching God’s word and training workers for God’s kingdom are indeed a perpetual gift. Thank you for your labor of love, and such a well written aclamation. Good word to encourage us as missionaries to keep pushing forward to make a difference. Thank you for what you are doing in training and teaching beautiful people of God. Thank God for how He is using you. Bless you.